Below is the budget we’ve estimated based on the scope of services outlined earlier in this proposal. If you have any questions about our pricing, please leave a comment and let us know. Every month you’ll get a full report on what we’ve done, improvements in visits, impressions and rankings over last month and an outline of what we need to do for the next month. We can customise the reporting and some parts of the process based on your needs. We’ll make sure your analytics tools are set up properly and configure Google Analytics and Google Webmaster Tools to measure what traffic is contributing to your sales conversion.We use other valuable tools like Moz, Majestic and Ahrefs that provide information on where your links are coming from, competitive analysis, keyword research tools, brand monitoring and more. Based on the audit, we’ll execute any necessary changes to your site which may include things like content edits, changing the title and meta description, updating your robots.txt and XML sitemap, using 301 redirects, and making usability tweaks to the design. 1. Market Research & Keyword Research: The first thing we do is conduct keyword research. We go through all possible keywords and identify the ones that will increase your website traffic and revenue. We identify 100 – 500 keywords in this stage. 2. Competitor Research: Our job is to beat your competition. We look at the keywords your competition uses and for the opportunity to create new keywords for your website. We set very broad standards for these keywords so as to identify as many of them as we possibly can. 3. Identify keywords with high search volume: The purpose of this step is to get as many words as possible that we can use to identify unique aspects of your company’s brand. 4. Keyword Mapping: Once we have the list of keywords, we use them to create a keyword mapping document that shows you titles, sub-titles, headings and content before mapping the keywords to the existing pages. We also identify the pages needing to be created to optimize the entirety of your website. 5. Selecting keywords with high return for landing pages: We are going to select the best focused keywords to draw more attention from the search engines. We have the analytical tools to show us how strong the landing pages are and how strong your website is in relation to the rest of the internet. 6. Technical Audit (25 – 30 pages): Once the keyword mapping document is complete, we do a technical audit on your website to ensure that the nuts and bolts aspects of your website are up to snuff. 7. What’s in a technical audit? All technical aspects of your website including meta info, brand visibility, site speed, website security, technical problems, non-existent pages and gaps in content will be checked and listed at this stage. 8. Technical implementation: Once we have completed the audit-and after your approval-we optimize the website to ensure that the search engine algorithms like it technically and that it can handle the increased traffic that will soon be generated. Note: This initial process takes around two to three weeks depending on the complexity and size of the website. Once we have gotten this far, we create a benchmark report and bring the detailed information to you for approval. Popularity of the site: Increasing authority and popularity of your website. Content Creation: Every month we create fresh content for your campaign and use the latest methods of link building in order to promote your website. Get featured: We feature your brand on high quality websites, blogs and online magazines. 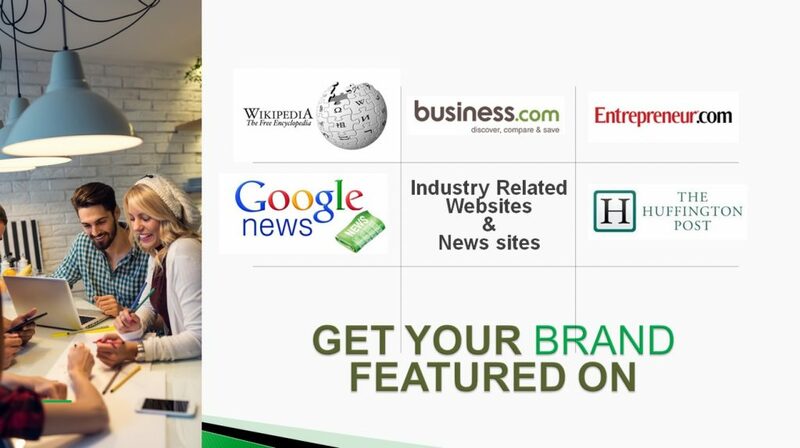 Link Building: At this stage we also begin cultivating links from other websites that will reinforce your expertise. Frequent Strategy Review: We review the strategy a few times a week to make sure we’re heading to the right direction. Monthly Rankings Review: Every week we will grade the effectiveness of your rankings and make changes as needed because of changes in the market or in the products or services that you offer. Monthly Reporting: At the end of every month you receive an online report indicating all improvements and all the work that has been done for you during the month. This is where we engage with people to receive links. The goal is to get high quality vs. high volume links as Google penalizes sites that have too many low quality links. How will we do this? Engaging influencers associated with your brand, commenting on their blog articles, sharing their social media posts and, eventually, sending them emails requesting links. Publishing high-quality content and posting it to social media. This is what’s known as link bait. It could be a free tool like a pricing calculator, an e-book, an in-depth guide on a topic that’s important to them and relevant to your brand, or a helpful infographic. Engaging and contributing to websites, blogs, magazines, groups, and other more targeted communities that are likely to share and blog about your content. Reaching out to the press and relevant bloggers for media coverage, interviews, and product reviews. We provide a wide range of SEO services to fulfill all your clients’ digital marketing needs. We identify key opportunities for a specific business that will help achieve the set goals. Your client has no contact with SEO Reseller Hub at any point in the process. 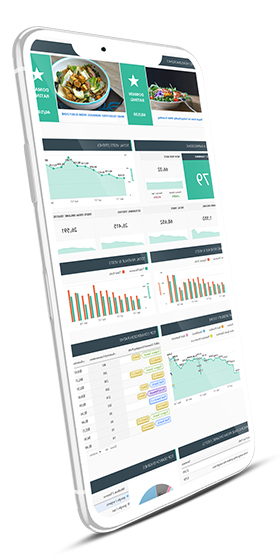 We deliver reports on the progress and results on a monthly basis that you can send directly to your clients. Our White Label SEO services come at a competitive price to beat the cost of an in-house marketing team. In order to provide your client with the most optimal return on investment, we perform a detailed website audit to determine which weak points to address. Conducting backlink check and keyword research and analysis, we will be able to come up with the best on-site and off-site SEO opportunities that will boost your client’s traffic, sales and revenue. Once you outsource SEO services to us, we don’t delegate them it any further – our in-house team of digital marketing experts performs all manual work needed to skyrocket the client’s success. From link building, content marketing, PR to PPC and social media advertising – the range and quality of our white label SEO services is unsurpassed. At the end of each month, we will provide non-branded reports on the progress made in the previous period. Nevertheless, should you need the data at any other time of the month, we will be more than happy to deliver it ASAP. Our report sheets don’t contain any info on SEO Reseller Hub (name, logo, contact info, etc.) so you will be able to send it to the client instantly. How do I know if white label SEO service is what I need? If you are already servicing a client, and they are in need of SEO services you are unable to provide, you can employ white label SEO agency like SEO Reseller Hub to complete the work for you. This represents a more affordable way to offer your loyal clients all-encompassing services without the cost of hiring a dedicated in-house team you might only need short-term. Do you offer full-range digital marketing services? Yes. Whatever your client’s digital marketing needs may be, rest assured we have a team of people to satisfy them. Over the years, we’ve gather a group of SEO, content marketing, paid advertising and social media professionals who have the right knowledge and the tools to help any business place higher in search results and appeal to a greater targeted audience. Are my clients aware of your presence? No. We at SEO Reseller Hub have no interest in contacting any of the clients. We are ready to sign an NDA contract you provide to assure the discretion of our services. Contact us to let us know what type of services you require. Based on that we will establish a partnership plan that suits you best. © 2018. SeoResellerHub. All Rights Reserved.